LOS ANGELES, CA: Before her untimely death at the age of 54 on the day after Christmas 2010, Teena Marie, known as the Ivory Queen of Soul or simply Lady Tee as one of the only white artists ever signed to Motown Records, wrote, produced, arranged and sang on 13 albums that have sold 2.5 million copies in the soundscan era. Starting with her 1979, Rick James-produced debut, Wild and Peaceful, Teena Marie’s many soul and R&B hits include “Square Biz,” “Behind the Groove,” “I Need Your Lovin’,” “Fire and Desire,” “Lovergirl” and “Ooo La La La,” a song famously sampled by the Fugees. 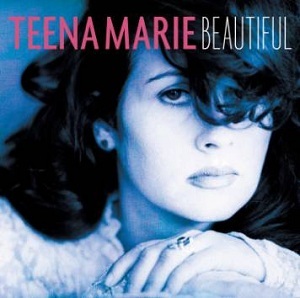 Teena Marie was working on her 14th and latest album for Universal Music Enterprises, Beautiful, at the time of her passing, the follow-up to 2009’s Congo Square, which peaked at #4 on the R&B chart and went to #20 on the album chart, producing the Top 12 Urban AC hit, “Can’t Last a Day.” Recorded at her own Pasadena home studio and finished except for final mixes, Beautiful was seen through to its conclusion by Teena’s 20-year-old daughter Alia Rose, who sings with her Mom on two tracks, a cover of Curtis Mayfield’s “Give Me Your Love” and “Rare Breed,” which she co-wrote. (Alia co-wrote two more songs on the album, “Sweet Tooth” and the title song.) The first single, “Luv Letter,” which has just gone to radio, is just that, an homage to Tee’s Motown roots, with nods to Stevie Wonder’s “Signed, Sealed, Delivered I’m Yours,” and a dedication to Alia’s father, who just happened to be a postman, like in the Marvelettes’ song of the same name. The album comes out Jan. 15, 2013. The album was co-produced by Teena’s longtime musical director, bassist/composer Doug Grigsby, whose credits include Michael Jackson, Patti LaBelle, Mariah Carey, Stephanie Mills, Teddy Pendergrass, Rick James and Luther Vandross, among others. It was recorded and mixed by Erik Zobler, whose studio credits include Jackson’s Off the Wall as well as Miles Davis, Natalie Cole, Whitney Houston, Anita Baker and Gladys Knight, among many others. But the real impetus came from Teena’s only daughter, who made sure this final product would do justice to her mom’s legacy.